The Red UFO Applicator Pad is the perfect choice for bright and light-colored cars. The soft foam applicator spreads the perfect coat of any premium Chemical Guys paste wax, cream wax, glaze, sealant, dressing, or conditioner over any surface of the car. A thin, even coat of wax produces better-looking and longer-lasting results with less waste than a thick and messy one. The premium finishing foam is ultra-soft, and will not install any swirls or scratches, or remove any paint on its own. The Ultra Fine Red UFO Applicator is the ideal choice for spreading an exquisite paste wax coating over sensitive paint finishes by hand. A slim saucer-shaped profile fits the UFO applicator pad comfortably into any detailer 's hand, large or small. Color-code UFO Applicator Pads to suit your own detailing needs and taste. 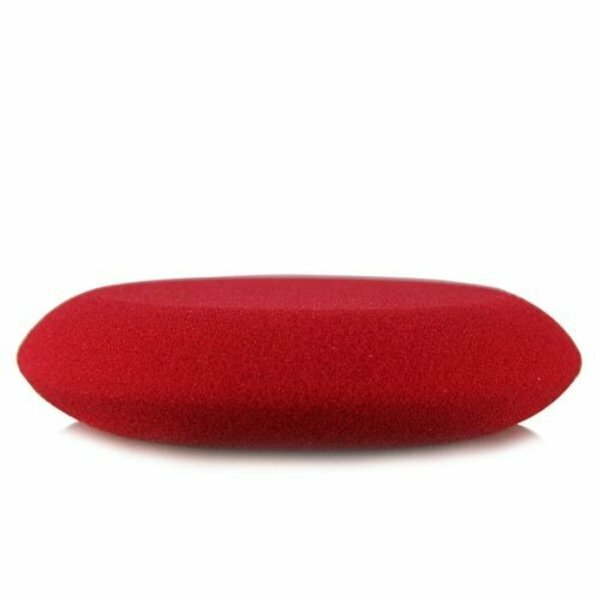 The bright red foam of the UFO pad highlights any embedded dirt and grease, giving the detailer time to clean the pad and avoid cross contamination or scratching any surfaces. 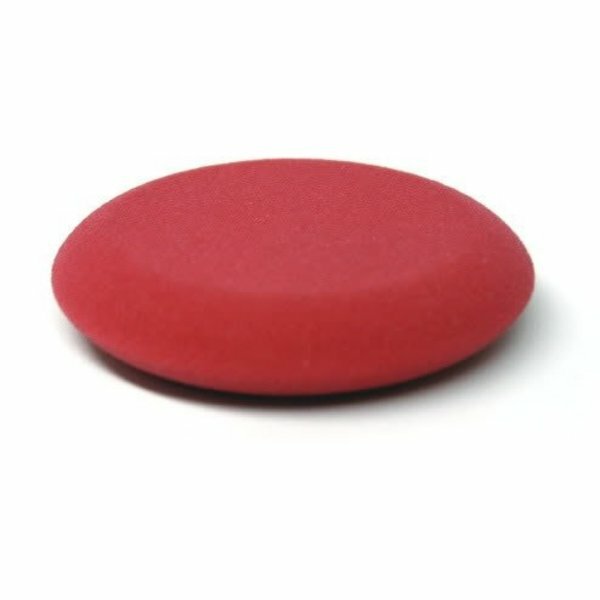 Use the Red UFO pad on extra-sensitive surfaces. Separate pads for use between paintwork, wheels, engine bays, interiors, and tires to avoid cross-contamination between sensitive materials like paintwork, leather, and greasy engine bays and rubber tires. UFO Applicator Pads are machine-washable and reusable to ensure dozens of reliable uses on any vehicle. Spread an out-of-this-world perfect finish over any vehicle surface with the premium UFO Red Foam Applicator Pad. Cheap applicator pads are made with stiff and thin foam with wide open pores. These bargain bin and auto part store applicators do no good when spreading a coat of wax over a freshly detailed painted surface. The large uneven foam pores absorb and spread wax haphazardly, and lay down too much product at a time. Some stiffer foams can actually scratch, mar, and leave swirl marks all over sensitive painted surfaces while waxing them. 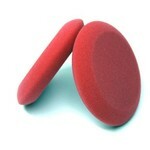 The Red Foam UFO Applicator Pad is made with a premium soft and dense foam for the best spread with minimal product. The ultra-soft foam conforms over every contour and curve to ensure maximum surface area contact with every swipe with wax, glaze, or sealant. Superior manufacturing techniques and quality control produce a plush foam with uniform cell structure and size. These micro bubbles are fine tuned to hold just the right amount of any paste wax, cream wax, sealant, glaze, dressing, or conditioner. Prime the pad with a couple lines of product, and add a few drops at a time as needed once detailing is under way. Invest in the Red UFO Applicator and save product, money, and time with every wipe over the vehicle. Coloring in the lines is a valuable skill when detailing! Spreading a coat of wax or sealant can turn into an expensive mistake when sloppy technique puts the creams on porous plastics where they don 't belong. Only dressing should go on textured plastic trim on bumpers, doors, and windows. Wax, glaze, sealant, and polish can permanently stain and discolor these rubber and plastic pieces, and ruin the clean look of any automobile. Simply squeeze and press the Red UFO Applicator Pad to fit over any thin body line, curve, and edge desired. Press the pointer finger through the applicator and rub the perfect amount of wax into paintwork without touching any trim on accident. Maintain clean lines when detailing, and do the job right the first time without undoing any messy work with the Red UFO Foam Applicator Pad. Cheap applicator pads are hard to clean, and break down quickly. The durable premium finishing foam of the Red Ultra Fine UFO Applicator Pad lasts through dozens of full car waxings and hundreds of tire shine applications. The trick is proper maintenance between extended uses for a clean spread on every swipe. Once the UFO pad fills up with spent product or oily residues from tires and engine bays, soak them in Chemical Guys Polishing Pad Cleaner, then run them through the washing machine along with your next load of microfiber towels. The gentle citrus cleaners will break down and release any creams and oil dressing gels from deep within the porous foam, and finish clean with the same soft feel from new. Avoid cross contamination between different areas of the vehicle, and keep a UFO pad for each job. Clean and maintain UFO Applicator Pads for the best spread of any product over any part of the vehicle. Prime the UFO Applicator Pad with 2 - 4 lines of preferred product.